When we have been depleted of endurance, when the hope is disheartened, if we cry out for the comforting touch of Jesus will He respond? Dorothea shares. “She said to herself, ‘If I only touch His cloak, I will be healed'” (Matthew 9:21). I’m encouraged by this woman who suffered with chronic illness (see Matthew 9:18-22;). When she heard about Jesus and His miracles, she disregarded society’s restrictions and reached out with her last ounce of hope. Stripped of pride, politically correct behavior, and defined gender roles, she took an unprecedented risk to avoid living the rest of her life in misery. Failed treatments. Medical bills. Cut-off socially. We need a touch from God–whether it’s a word of encouragement, an unexpected source of help, a restful night’s sleep, or a passage of scripture that smooths away the anxiety. Do we trust Jesus to be available? To touch us? To give hope, comfort, and peace to the very area we need it the most–our soul? Jesus feels it when we reach out to Him. He sees our tears and hears our cries. One morning during my devotions, I cried out for just the hope to hang on without quitting. A few hours later, I turned on my computer and found a prayer for me and my family from a dear friend. She covered every single item that I had brought before the Lord. She ended her message with a heart emoji and said she was sending a heart hug. We live thousands of miles apart and hadn’t messaged each other in a while. She had no way of knowing about my prayer. I sat there, crying tears of gratitude. It felt like a personal touch from the Lord. Sometimes when we suffer from chronic pain, we feel like we can’t impact on the lives of others. However, my friend proves that we can make a difference. We can touch the people around us and be an answer to their prayer! 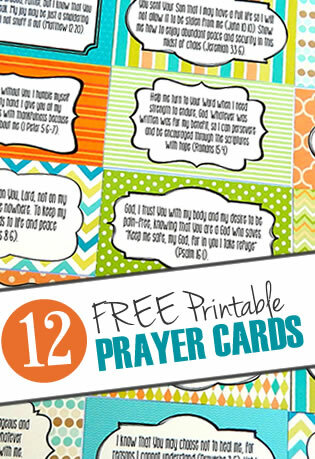 Prayer: Heavenly Father, thank You for the friends who bless us with their love and compassion. Their touch on our lives is priceless. Help us to touch someone who is hurting so they can feel Your love and presence. Amen. 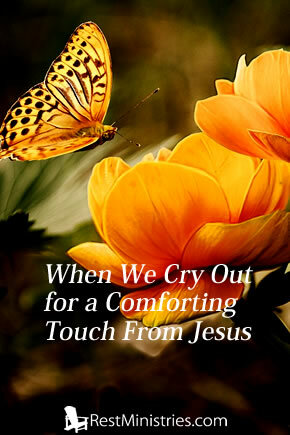 Have you experienced some kind of comforting touch from God? Dorothea, such a beautiful testimony to our Lord, who hears our most intimate cries. Thank you for sharing!! Thank you for being open and sharing your heart! It is beautiful!